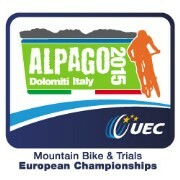 ALPAGO 2015 EUROPEAN MOUNTAIN BIKE & TRIALS CHAMPIONSHIPS In late July at Lamosano the best riders in the world will compete for the titles of European MTB Champion. All races will take place in a setting of exceptional natural beauty which only Alpago can offer. In Lamosano (a part of Chies d'Alpago), between July 22nd and 26th thirteen titles for European champions in the various categories will be awarded for the four specialities programmed: the cross country, the team relay, the eliminator and the trials. In the four days of competition no fewer than eight hundred riders will be competing, representing 29 countries, a record number in the history of the continental event. It is important to know that the competitions will all have a high technical and sports value, as the competitors involved, even if contesting the European Championships on that occasion, are the best of the “Parterre de Roys” in world class MTB, given their position of “best in the class” in the UCI (International Cycling Union) rankings, that is the classification of athletes in all the countries of the world. That's why the European Championships in Alpago are one of the most important sports events of the 2015 season. This constitutes a great honour for Lamosano, the Province of Belluno, the Veneto Region and the whole country. It is not an event that has just happened by chance: for over twenty years the mountain bike milieu has recognised Alpago as an excellent location for the off-road specialty. The term excellent is used advisedly because this kind of cycling, set in a natural environment in Chies d'Alpago, with its operating centre in the village of Lamosano, has been an integral part of the wonderful Belluno area since 1989, not only for strictly sporting reasons, but also as a unifying element for environmental policies and the development of tourism (and therefore the economy) of the whole district. In fact, in parallel with the now consolidated competitive activities, a synergic mechanism has taken hold, intended on the one hand to reinforce the practice and culture of the sport (not only at a local level but also in a wider sphere of action, of a national and European character), and on the other to improve and qualify the area's many resources, so stimulating the growth of the local economy. This has all led to the implementation of defined, operative plans, always inspired by the principle of the protection and appreciation of the environment, fundamental to guaranteeing cultural and social growth and a sustainable future for the area. Thus, following the logic of environmental sustainability, the European MTB and TRIALS Championships Alpago 2015, fitting naturally into a promotion of the Belluno area of over twenty years (backed in the sporting world by the SC Chies d'Alpago), find, not by chance, a symbiosis with EXPO 2015. Even if the dimensions and scope are completely different, this similarity is neither forced nor out of place since the event in Alpago, although focussed on a competitive sports event (European awards for MTB and TRIALS), perfectly embodies the objectives of Expo 2015: these championships in fact represent the opportunity for an effective international showcase of what's on offer in the Belluno area, to be known, promoted and above all appreciated by as many people as possible. the bike trial in Lamosano/another Alpago location. The European Mountain Bike Cross Country 2015 Championships will take place over four days, within the space of a week in the second half of July, from the 23rd to the 26th (date approved by UCI and UEC, in the 2015 competitions calendar). National teams will be present with their best athletes. It is estimated, considering the participation in tha last five European Championships and positive trend (+ 21%) that at least 25 countries will be represented, bringing the total number of competitors to 1,200 plus 500 assistants with the teams. The Chies d'Alpago Cycling Association is an amateur sports association (affiliated to the Italian Cycling Federation), based at 231 via Salita Castello, Chies d'Alpago 32010 (BL), fiscal code 93032700259 and tax number 944510254. This above named association is authorized to organize sports events at an international level. Relevant information can be found on website www.mtbalpago.it. The Chies d'Alpago Cycling Association was founded thirty years ago, in the mid 80s, characterized immediately on the Italian two-wheel scene by its exclusive interest in the mountain bike. The spark igniting its founding was the common interest of a group of young local residents in the then new form of cycling which was making its first steps in the sport. They were hardly worried that the mountain bike in those years was considered by the establishment as atypical, rather extravagant, too far removed from the cycling orthodoxies on road and track, and quite different from ciclocross (which in some way could be considered a remote relative), too eccentric and “free” in its rules, in its setting and demonstrative procedures. Rather it was exactly that risk of the “roguish novelty” which spurred those young people to enter this new, fascinating world of the bicycle now to be discovered - they affiliated the club to the Italian Cycling Federation, with all its constrictions of officialdom and the authorities, in order to follow this stimulating sporting phenomenon. Among other things, in those times, little was known about the mountain bike and the little that was known stemmed from what could be learned (often romanticized) from foreign magazines, usually American, which showed extreme sports. But even without direct experience and just by reading enthralling articles and seeing fascinating, strange photos, it clearly emerged that the characteristics of this practice were those connected with the concept of adventure, attractive to anyone desiring free movement, to soar above the world of nature far from the dangers and poison of the roads. Living in an area whose principal elements consist of nature, greenery and the mountains and whose population is closely linked to these in both daily life and economic development, for these young men in Alpago, the strong alliance with the mountain bike was spontaneous, immediate, and to use a more precise term, “obvious”. The timingof the founding of the Chies d'Alpago SC coincided with the first official mountain bike activities at a national and international level, enabling the club to proceed in parallel with the evolution of off-road – an extraordinarily rapid movment which transformed MTB from a pioneering sport for the few into one of the most watched Olympic disciplines and one counting tens of millions of practitioners today world wide. Taking into account the obvious differences, even the SC Chies d'Alpago in its first thirty years of life has registered an exponential growth, at least at the organizational level. In fact, after the initial events within the Veneto (already showing an ability “to do things well”), in 2001 came its first important recognition when it was assigned the Italian Championships by the Federation. Nine years ago the organizational capacity of the club was recognised when the UEC (European Cycling Union) nominated it for the 2006 MTB and Marathon Continental Championships. This event is still remembered and appreciated for the technical quality and stimulating atmosphere which it provided for the riders, technicians, managers and journalists. Thanks to an extremely favourable setting, that “wonderful strip of land” called Alpago is naturally suited as an “ideal place” to the mountain bike.